YouTube creators in the gaming and LGBTQ communities this week discovered that some of their videos have been hidden by YouTube in “restricted mode”, though the videos did not violate any of the terms deemed by YouTube. Initiated in 2015, Youtube launched restricted mode as a way to monitor and censor content sensitive towards children. The algorithm in place has several flaws however, as Polygon reports that Youtube relies more on tags and community flagging to determine what should and shouldn’t be restricted. Gamasutra added that even tutorials and walkthroughs for nonviolent games such as The Legend of Zelda: Breath of The Wild are hidden because it’s been flagged with a ‘gaming’ tag. In an official statement, YouTube said “The intention of Restricted Mode is to filter out more mature content for the tiny subset of users who want a more limited experience…we regret any confusion this has caused and are looking into your concerns”. The wait is finally over for those who weren’t able to get the Nintendo Switch during the first wave of commercial release. Gamespot announced that retailer GameStop would be restocking their shelves with Switch units, but customers have been told to call their local stores to confirm console availability. After selling out on its release date, Technobuffalo worries that the Switch may face the same shortage issues that the NES Classic Edition had, but is hoping Nintendo won’t make the same mistake. 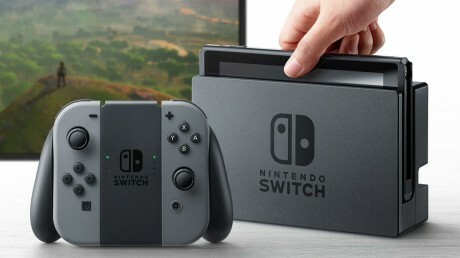 In other news, multiple reports on issues around the Switch syncing with left-side Joy-Con controllers have been addressed, as IGN reports that Nintendo states it is simply a manufacturing error and the design itself has no issues. Sean Hollister of CNET sent back his defective controller to Nintendo, and found that a small piece of black foam had been placed in the lower right corner. Hollister also commended Nintendo’s outstanding customer service, and encouraged those with faulty controllers to contact the company to get their controllers repaired. Whether or not the foam will solve the problem entirely is not known, but BGR reports that it appears to working for the time being. For Honor, a team and class-based melee battler from Ubisoft that launched at a $60 price point and includes microtransactions, has come under fire after a Reddit user crunched the numbers to find that it can take years and $732 to unlock everything in the game, according to Gamespot. Ubisoft’s Montreal Game Director Damien Kieken argued in a livestream that “We never had an intention for you to unlock everything in the game…the cosmetic items for us, are endgame content”.This response did not sit well with the community, as VG24/7 found For Honor sub-Reddits to be filled with threads of players expressing anger and frustration. It’s true that cosmetic unlockables don’t offer any real gameplay value other than giving your character style and flare, but it will be interesting to see if this backlash will result in any changes from Ubisoft, who use similar models in other games like The Division and Rainbow 6: Seige. Earlier this month, gaming content creator Jon Jafari (also known as JonTron) shared some contentious political viewpoints on race and immigration. We will refrain from repeating him, but Gizmodo goes into more detail with direct quotes from Jafari on his views on immigration and race issues. This immediately sparked rage and disappointment among his fans, with Polygon reporting that about 10,000 former fans have so far unsubscribed from his YouTube channel. Similar to the way that some brands have started distancing themselves from fellow YouTuber PewDiePie for his controversies, GamesIndustry reports that Yooka-Laylee developer Playtonic Games has officially dropped Jafari from the upcoming title, in which he voiced a character.